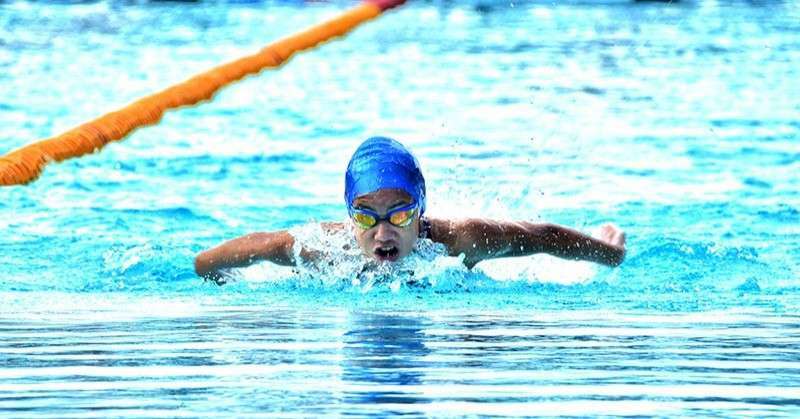 TAGUM CITY -- Liaa Margarette Amoguis made waves at the Davao del Norte Sports and Tourism Complex here Wednesday, February 6, by scooping two gold medals to lead Davao City's first day haul of six golds, three silvers and eight bronzes in the Batang Pinoy 2019 Mindanao Qualifying Leg swimming competition. Amoguis, turning 12 in March, struggled in the breast stroke but recovered in freestyle to race past North Cotabato's Saira Pabellon enroute to capturing the girls 12-under 200-meter individual medley (IM) event. Amoguis timed two minutes and 39 seconds while Pabellon finished 2:42. Amoguis, daughter of physicians Lowell and Cynthia, pocketed her second gold in 100m butterfly. She was pertaining to her sister Lora Micah, 13, who also annexed a gold in girls 13-15 200m IM with a time of 2:35.06. Lora also was challenged by North Cotabato's Jie Angela Talosig all throughout the race but the elder Amoguis pushed herself harder. “I really want to do this for my parents, my coach and for Davao. It was like when I saw her I wanted to be the first coz I haven't been competing in the Batang Pinoy for a long time.” She accounted for a relay silver in the 2016 Batang Pinoy national championships. 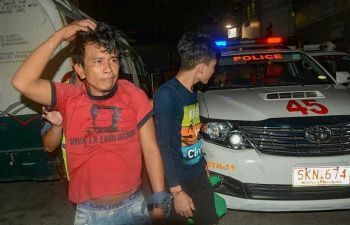 The Amoguis sisters did not compete in last year's Batang Pinoy Mindanao leg held in Oroquieta City citing security concerns at the onset of the Marawi City siege. Juliana Marien Villanueva (girls 13-15 800m freestyle), Pietro Dominic Requiza (boys 12-under 50m backstroke) and Alissa Ysabelle Lazarraga (girls 13-15 100m butterfly) added to Davao City's gold harvest at the pool. 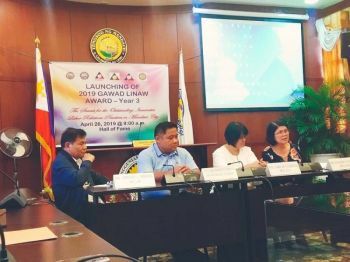 Villanueva said she felt the pressure to swim harder when General Santos City's Thea Diane Canda was trying to close the gap in the final 100m. “I just tried to swim faster. I felt the pain after the race,” Villanueva said. Davao City's silvers were courtesy of Requiza in boys 12-under 100 meters (m) freestyle, Ivo Nikolai Enot (boys 13-15 50m backstroke) and Lora Micah Amoguis (girls 13-15 50m backstroke) while the bronze winners were Villanueva (girls 13-15 800m freestyle), Matthieu Adrien Tao (boys 13-15 100m freestyle), Chuck Brylee Amparo (boys 12-under 50m backstroke), Wilart Dayaday (boys 13-15 50m backstroke), Maica Angela Garcia (girls 13-15 50m breastroke, Juan Alessandro Suarez (boys 12-under 100m butterfly) and Ray Martin Yarra (boys 15-under 1500m freestyle). Philippine Sports Commission (PSC) Commissioner Charles Raymond A. Maxey and Sports Development Division of the City Mayor's Office (SDD-CMO) officer-in-charge Mikey Aportadera awarded the medals to the winners. The swimfest will resume Thursday, February 7.